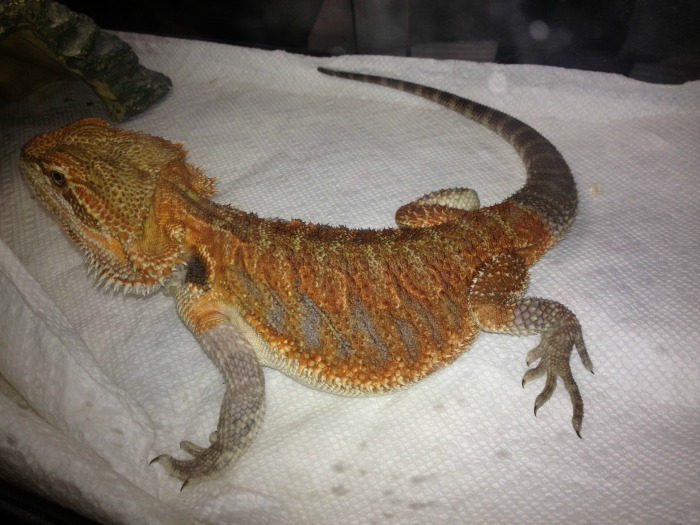 As many of you know, my husband and I have a variety of pets in our home, including bearded dragons and turtles. Just like Ivi and Reya, they are a major part of our family. When our very first reptile came into the family, I have to admit, we weren’t prepared at all. We were poor college students and didn’t even know the right questions to ask at our local hometown pet store. Unfortunately, due to not having the right information to care for it, our poor little baby passed away 6 months later. Now, after having reptiles for over a decade as pets, we want to help others make sure they make the right choices when it comes to reptile care. One of the first thing we actually did wrong was not buying everything our poor bearded dragon needed to survive. Most lizards require some very basic things that most new owners know nothing about, including UVB lights. Back when we got our first dragon, I would have loved to have had an in depth list and informative site to help us make sure we had everything we needed for our new dragon. This area has so much information to get new reptile owners started when it comes to proper reptile care. 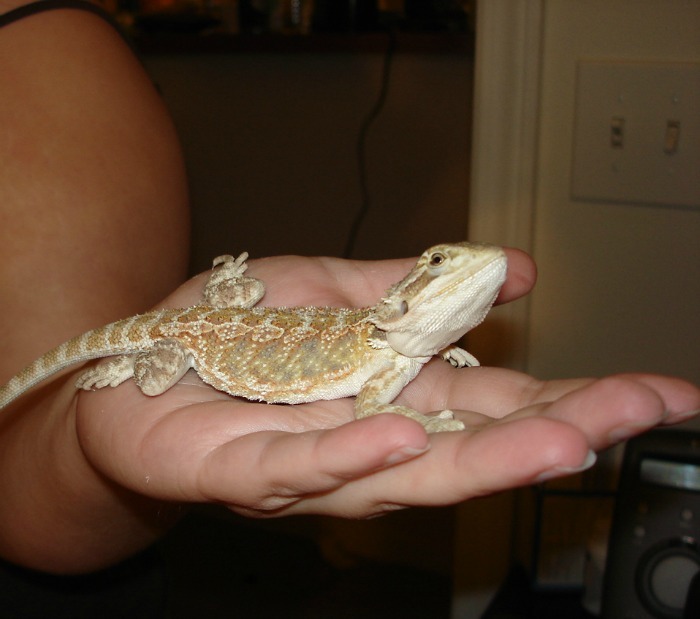 Even though a lot of pictures online show it, do not use sand in your bearded dragon’s tank. Sand can impact (clump in the intestines and block the normal movement of food) and kill most dragons. If you have a dragon that likes to dig, you can have a separate tank with calcium sand for enrichment time. Reptiles should NEVER eat in a tank with sand or any other type of bedding, however, since it can cause impaction. Also, never place multiple bearded dragons in the same tank. While they can sometimes cohabit, this one is a case by case basis and rarely ends well, since bearded dragons WILL eat other reptiles who are smaller than them. Echo doesn’t like other dragons. Check out that angry black beard! 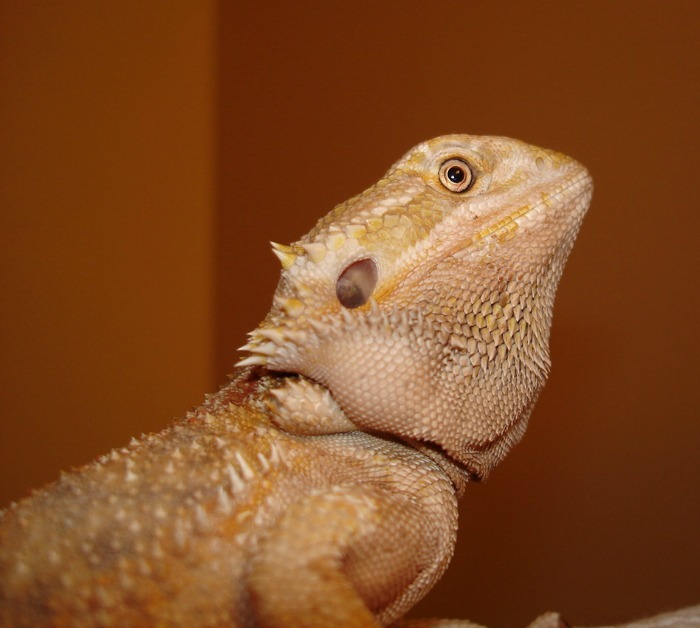 As for food, bearded dragons love crickets, hissing cockroaches, superworms, and hornworms. Personally, we love to rotate between crickets and superworms, and try hornworms throughout the year as well. All food for your dragons, however, should be gutloaded (pre-fed highly nutritious food) with special food to make sure they have the proper nutrients. With all of our dragons, we buy all of our crickets, superworms, and hornworms from an online retailer called Great Lake Hornworms. For emergencies, however, we purchase crickets and hornworms from Petsmart. No matter which food you use, however, they should be dusted with calcium and vitamin powder to prevent metabolic bone disease (a nasty disease where their bones weaken or disfigure, and can also cause organ failure). Bearded dragons also should eat vegetables regularly; ours enjoy shredded carrots, bok choy, and kale. Another thing many people do not discuss is what happens when reptiles get sick. It isn’t uncommon for lizards, especially bearded dragons, to get respiratory infections. For this reason, it is important to have a veterinarian that specializes in reptile care. You can likely find a reptile-friendly vet by calling your local vet and asking. Just know that many offices are not prepared to handle reptiles so you have to do your homework first! Personally, if we needed to locate a vet in a new area, we would use the Association of Reptilian and Amphibian Veterinarian vet finder on the Kingsnake website. 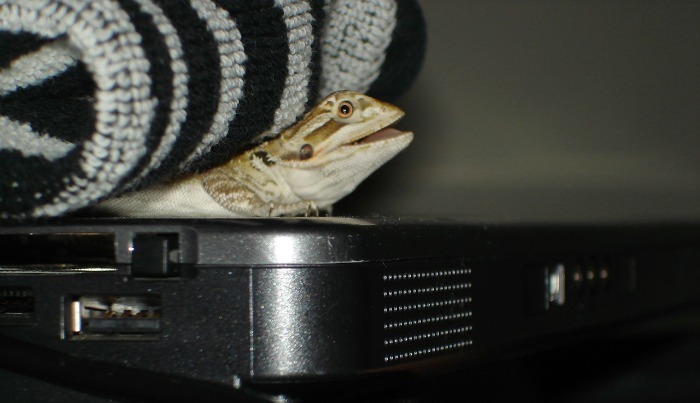 That being said, it is great reading about reptile behavior and illnesses on the internet if you are worried your reptile may be sick; or even better, before it happens! We love the petMD® Reptile Care Center since it filled with a wealth of information of reptile care for new bearded dragon owners. They also have articles on snakes, tortoises, and many other reptiles that can be kept as pets. My husband and I are very excited about this new resource, especially with all the conflicting information you can find online about reptile care. 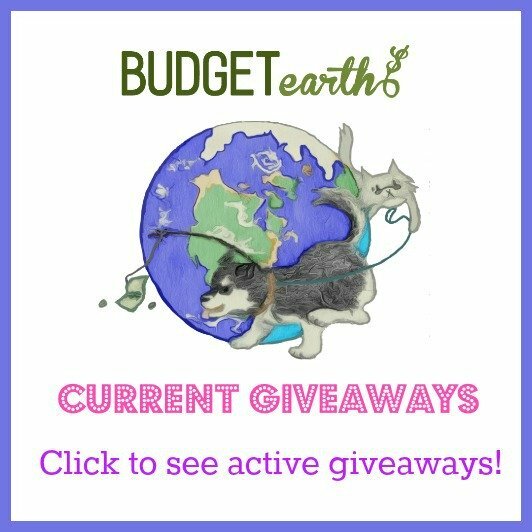 Have any questions about reptile care or owning a bearded dragon? Ask us and we will do our best to answer them! Great post, Susan, and very informative. A lot of people don’t realize reptiles need such specialized care. I’ve heard so many stories of people’s first beardies getting metabolic bone disease and/or dying because they haven’t done their research first. Hopefully your post will find it’s way to reptile newbies just in time. Thanks for that. I used to have lizards. They require too much care. I don’t know what I was thinking at the time. I’m just not an animal person. I can tolerate them somewhat, but don’t bring them around me. I would be scared to own a dragon, but what a cool pet! This is really helpful information! While I think it would be nice to own a bearded dragon, I think it’s best that I don’t get one as I wouldn’t have the time needed to take care of them properly. Thanks for sharing this! I use to breed snakes and Tegu lizards. When I had my kids, I gave it up. It was too time consuming. He’s very cute! He reminds me of Linda Hamilton’s pet, ‘Pugsley’ from the first Terminator movie, and ‘Jub Jub’, Selma Bouvier’s lizard on “The Simpsons”! Lizards really don’t make good pets. When I had mine, I think I did it because it was something different. We used to own a snake. Never a lizard. The snake took up a lot of time and care! What a lot of great information. I know my oldest grandson would love to have a bearded dragon. 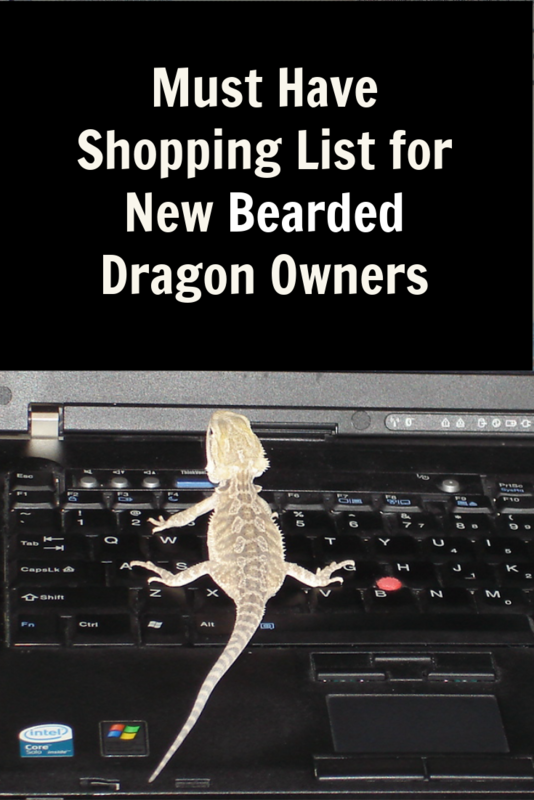 This is a great resource for new bearded dragon owners, I’m sure this shopping list will be a great help. Thank you for sharing this post. 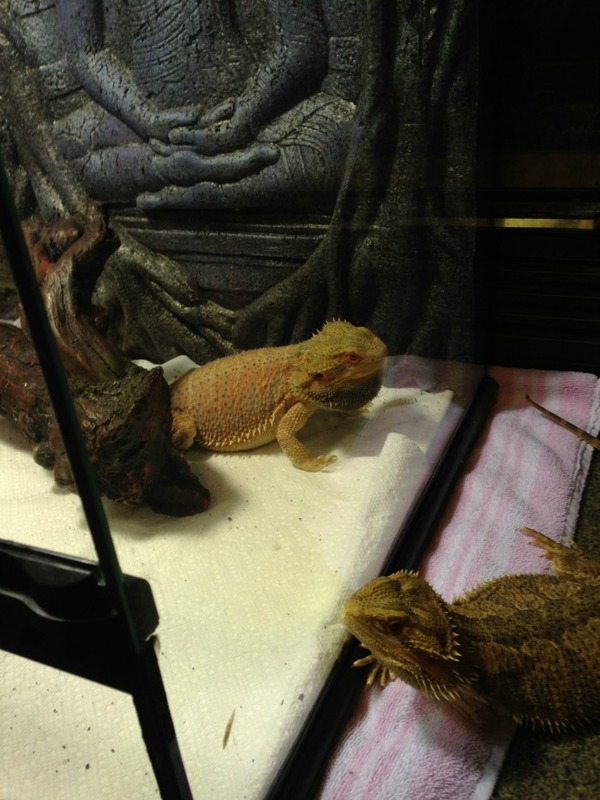 I have owned three bearded dragons – all rescued. They are awesome. I call them the dogs of the lizard world. I use my current beardie to teach children how to care for lizards at a Pet Summer Camp. Hmmm. I don’t think I could own one. Thanks for this post – we have a couple of kids who just got these! Wow! This is a must read for reptile owners. Will share this one . Thanks for this! They are cute little guys! I’ve never owned a lizard and had no idea they needed so many things to help them live a long, healthy life in captivity. How awesome! They are such beautiful creatures. My cousins have two of these and they are so much fun! I can’t believe how big they have gotten over the years! I used to have 2 California King Snakes, so I love all reptiles. They are just so darn cute. This shopping list is very helpful. Thanks for sharing! Reptile owning isn’t something I would do, but thing the blog would be great for anyone who does! I love bearded dragons! I used to have one named Colossal, haha. Right now my husband and I have 5 snakes. I am terrified of reptiles lol. Wonderful information on such an amazing pet. I appreciate the list – who knew!? I think people are always surprised at how much work and thought go into caring for reptiles (or fish). It may seem like a good starter pet, but they can need just as much time and effort as larger animals. Hopefully this article and your helpful shopping list will prepare those thinking about purchasing a lizard, snake, or other reptile friend. Lizards seem like nice pets! My brother has a few different ones. I have a feeling once my twin boys are older they will probably want one. Thanks for the great info on them! I don’t think I could have these as pets as I don’t see them as loving cuddly animals like cats or dogs. A bit scary to look at . When my son was younger he had a few lizards as pets. I’m not a big fan really. I have had two red ear sliders and two Chinese water dragons. I researched before I got my reptiles and learned a lot. I love the little creatures as much as my furry children! Wow. That is a lot of great information. My sons have always wanted one and it’s great to have all the information at hand before getting one! This post actually came at the perfect time, as we are getting ready to move next month, my son is getting a bearded dragon for his new room. Thank you for discussing the needs of these beautiful lizards–any pet requires care and planning, and deserved respect. I found this very informative! We have salamanders in our home but we can’t touch them and play! Interesting pet to keep ! OMG! so scared..in our place it is n0t easy to handle and care the reptiles, how sad about what happened to your baby! I’m not a huge fan of lizardy types, but the last picture is SO cute! He looks like he’s/she’s smiling for the camera! This post contains a lot of information that I never knew about reptiles. I guess you need a lot to take care of these reptiles, but my thinking is .. why is it that people are so selfish and wanting these or snakes or anything else that belongs in the wild… just my thought..
I’m sorry but I’m a little freaked out about lizards. But it is good to have a place to go like Pet Smart to get what you need to take care of them. He’s a real cool lizard! I live in a desert, and see lizards every time I step outside. You have some good information here, but I don’t want one inside my home. I’ve seen a few reptiles last year when I visited the Toronto Zoo, like the Komodo Dragon. I must say that I’m intimidated by most reptiles, if not most animals. I know it takes so much care and responsibility to raise animals outside of their natural habitat, so, I’ve not owned a pet all my life. I also read that some people collect animals and abuse them as they grow up by failing to meet their needs, so it’s good when there are people who take caring for these animals seriously to their old age. My cousin has two of them ane he really loves them i afraid of the m at the beginning but now i find them very nice guys hehe!!! there is sure a lot to remember. I always wondered how to raise bearded dragons. I think I will try to raise one.. I appreciate all the information. Thank you for the information. My grandkids would love this. I had one of these little guys when I was a young girl. It was so much fun and I loved my little reptile. i’ve never had one of these, and i can’t imagine my daughter wanting one, but this is a great started list. We had a gecko for a few months, but the maintenance was too much and we gave it away to a better home. Such a cute bearded dragon !